To decide that classic country music is the way you’re going to make it through life is like choosing the toughest of all paths to climb to the top of a mountain, with steep inclines and sharp drop off’s and all manner of obstacles and wild dangers besetting your course on every side, all while an inviting elevator to the top sits with open doors waiting to spirit you to the same apex you’re shooting for with little to no effort. I’ve Got A Way is not just classic country gold delivered in the modern realm, it is an allegorical voyage delivered in mutable, yet intertwined themes that delve deep into the material journey the soul must take when trying to navigate its path through life past all manner of travails, and pitfalls veiled as pots of gold. This album is about the test that life poses to see if one is strong enough to hold onto themselves. A classic country performer is going to know this journey all too well because nothing except the prodding from some diehard fans and an eternal drive inside is going to keep them soldiering forward. Almost like a “Choose Your Own Adventure” novel, the songs of I’ve Got A Way can mold themselves to broach all manner of subjects depending on the mood and memories of the listener. It’s part protest album with its opening salvo “Dirty Old Town,” though if you happen to be at odds with wherever your homestead lies, it may not be just about Nashville. “Don’t Hurt The Ones (Who’ve Loved You the Most)” can be about your lover, friends and familial surroundings, or it can be about not turning your back on the fans who helped support your career when nobody else would. “You Can Have It,” “False King,” and many of the other songs of I’ve Got A Way follow this double, sometimes triple-meaning brilliance, including working in the trials that romantic relationships can throw ones way, and can make you lose sight of your true self. 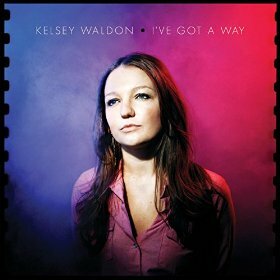 Kelsey Waldon presents a world full of temptations and hurdles, yet with defiant countenance, turns away all adverse attempts to veer her off her course, declaring “I’ve got a way” that’s all my own, and will not be swayed by alluring trifles or manipulators disguised as allies. Sometimes this journey is lonesome, and it’s always difficult. And sometimes what seems like the right course of action doesn’t always reveal itself as the righteous path in the end. But the most important thing in the end is the journey, and the insistence on plodding forward ones own way. It’s going to be tough to figure out my favorite release of 2016. Between this, and albums by Margo Price, Sturgill Simpson, Cody Jinks, and all the rock I listen to, Kelsey is right up there. This album is simply excellent. I love all the steel guitar and the songwriting is top-notch. Definitely one of my favourites of the year so far. There’s been some really good albums released over the past few weeks. I’m looking forward to Dolly Parton’s new one on Friday. Just to throw this in here too: I’m also super excited to see Sturgill Simpson for the first time tomorrow night! This is a really good.I hope it gets heard and recognized. I’ve got 2 of her CD’s and she has really improved her writing and singing. I hope with this release she will get some Margo Price like recognition. Good job Kelsey! There’s more steel on this album than the last five years of music combined on mainstream country radio. This record gives me the same kind of feeling as when I first heard Loretta. Great stuff. Hadn’t heard “Don’t Hurt the Ones” before, and it brought a tear to my eye. Kelsey is right up my alley. She brings country music to life in its purest form. Smart and insightful review. Great read to start the morning. Thanks! I just ordered this CD. Can’t wait to hear it, particularly Dirty Old Town. This is a sure buy. Thank you for the review. Kelsey’s singing and songwriting are excellent, refreshing! Been listening to this album on repeat. 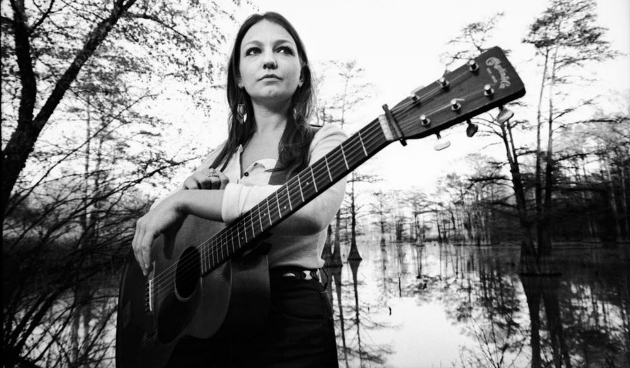 Cannot figure out why Kelsey Waldon and this record in particular is not getting more attention. This is a brilliant album from start to finish. Near the top of the list for 2016.